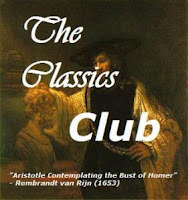 A Literary Odyssey: Book 53: On Part 3 and Finished. 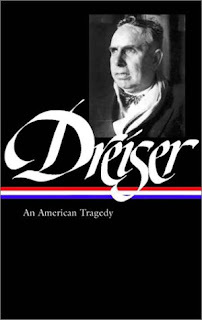 I can say two things about Dreiser's An American Tragedy: It was very, very long, and I really, really, loved it. The third part, which is well over 300 pages as well, seemed to go by much faster than the first two. Clyde has committed his crime and the police are putting together the clues for his trial. I was absolutely fascinated by these proceedings and compared them in my head to what I know of present-day cases that are under investigation. Dreiser maintains the ability to keep his reader on the fence about the extent of Clyde's guilt. We have lived with Clyde, loved with Clyde, and possibly murdered with Clyde, so the real judgment comes on our part. It doesn't matter what the jury may have decided-that wasn't the point. 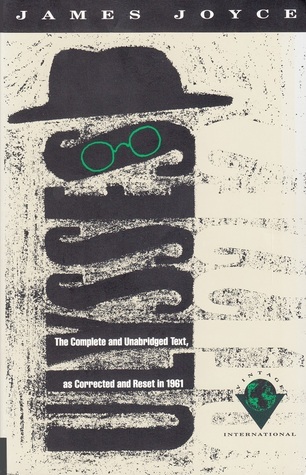 Dreiser's main goal was to get me thinking about the entire mess and what drove Clyde to desperation. We all grow up hearing stories about the "American Dream" and what we can hope to be if we try hard enough and work enough. No one ever tells us what kinds of sacrifices we must make in order to gain that level of success. Some people are willing to risk anything and everything to reach that level. It certainly made me think differently about success and what I would be willing to do to get there. When I finished the novel, I wasn't sure at first how to feel about it. In many ways, I feel that the first part-explaining Clyde's childhood-was drawn out and unnecessary. We really don't need all of those details, and perhaps an overview would have been enough. But upon closing it and thinking, I realized that Dreiser was merely explaining how a normal boy from very humble beginnings can turn into a ruthless killer. It really made me think about the back stories of many of the faces I see on TV. How many of them felt they had no other choice? I'm not sure if that even matters. But I enjoyed it and loved. It is a novel that made me think deeply about what we teach our children in schools about success and what success means. I questioned my own need to rise the ladder to the American Dream. Would I still like myself if I got to the top? Based on this, probably not. Anyway, this is something I think everyone needs to think about reading. Yes, it is long, and sometimes drawn out, but well worth the moral dilemma it instills. Yay! I'm glad you loved it despite the length. I do think Dreiser could have edited it down a bit, but for the most part I love the story-arc. It really does help you to sympathize with and understand Clyde. If the murder was more clear-cut, perhaps not, but it gets really messy/unclear in there. I seem to be adding alot of lon books lately to my wish list but this one sounds like such a thought provoving book that I have to.